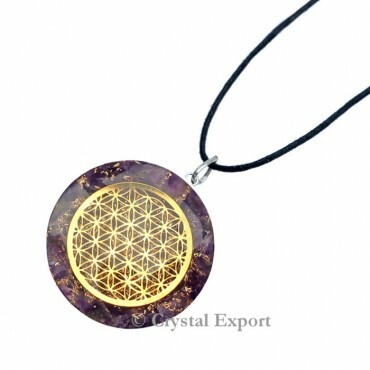 Get the attractive collection of Flower of life with Amethyst Orgonite Pendants in wide range. Amethyst is used for amazing healing of body and mind. And flower of life is gives the positive energy. This amazing pendant is gives the best healing experience. Place the order today.